WASHINGTON -- The Obama administration on Friday proposed tougher mileage standards for medium and heavy-duty trucks, the latest move by President Barack Obama in his second-term drive to reduce pollution blamed for global warming. The Environmental Protection Agency issued new rules that would lower carbon dioxide emissions from trucks and vans by 24 per cent by 2027. It would cut fuel costs by about $170 billion and reduce oil consumption by up to 1.8 billion barrels over the lifetime of vehicles sold under the rule. Transportation Secretary Anthony Foxx said in a statement that the new rules would help the environment and the economy, as trucks use less fuel and shipping costs go down. He called the rules "good news all around." Gina McCarthy, chief of the Environmental Protection Agency, said the rules would deliver "big time" on Obama's call to cut carbon pollution. "With emission reductions weighing in at 1 billion tons, this proposal will save consumers, businesses and truck owners money," McCarthy said. At the same time, the rules will "spur technology innovation and job-growth, while protecting Americans' health and our environment over the long haul," she said. Medium and heavy-duty vehicles account for about 20 per cent of greenhouse gas emissions and oil use in the U.S. transportation sector, but comprise only 5 per cent of vehicles on the road. 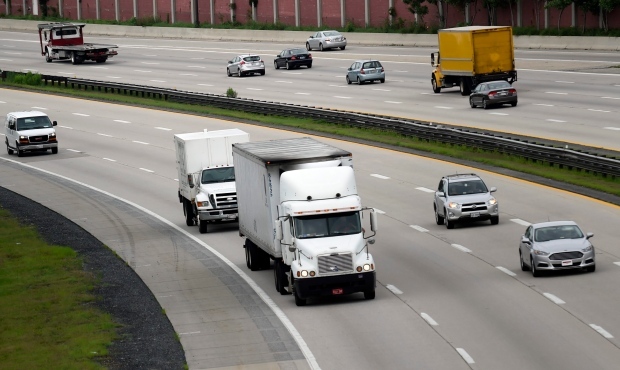 The proposed standards would cover model years 2021-2027 and apply to semi-trucks, large pickup trucks and vans, and all types and sizes of buses and work trucks, officials said. Once completed, the rules are expected to lower carbon dioxide emissions by about 1 billion metric tons. The rule builds on fuel efficiency and carbon pollution standards already in place for model years 2014-2018. Those rules are expected to reduce greenhouse gas emissions by 270 million metric tons and save vehicle owners more than $50 billion in fuel costs, compared to previous standards.